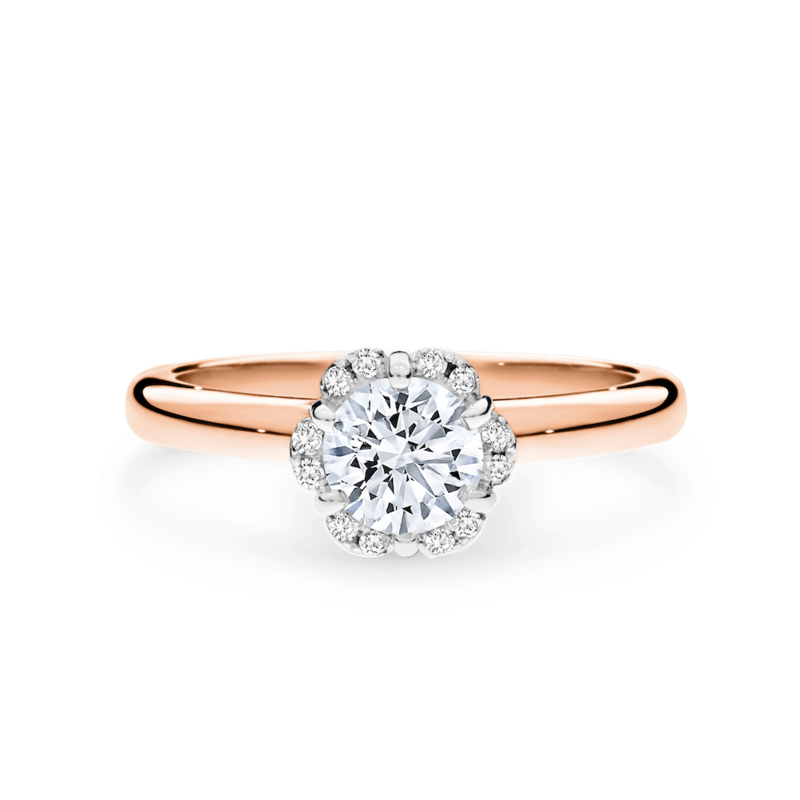 A round brilliant-cut centre stone takes on a floral silhouette with a delicate halo of round brilliant cut diamonds and fine claws. Shown in white, rose and yellow gold. Available in a wide range of centre stone carat weights. Available in 18ct white, rose and yellow gold, or 950 platinum. The Australian Diamond Company opened the first retail store on Swanston Street in the heart of Melbourne’s CBD in 1982 along with offering high-quality diamonds at reasonable price range.